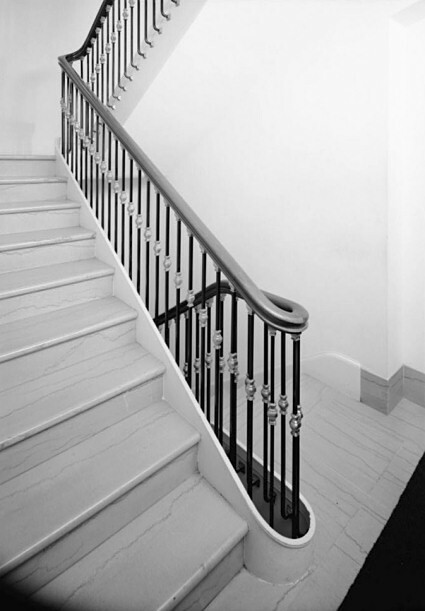 The second floor of the White House Residence is the first family residence, where their bedrooms and private sitting rooms are located, as well as some guest bedrooms such as the Lincoln Bedroom. 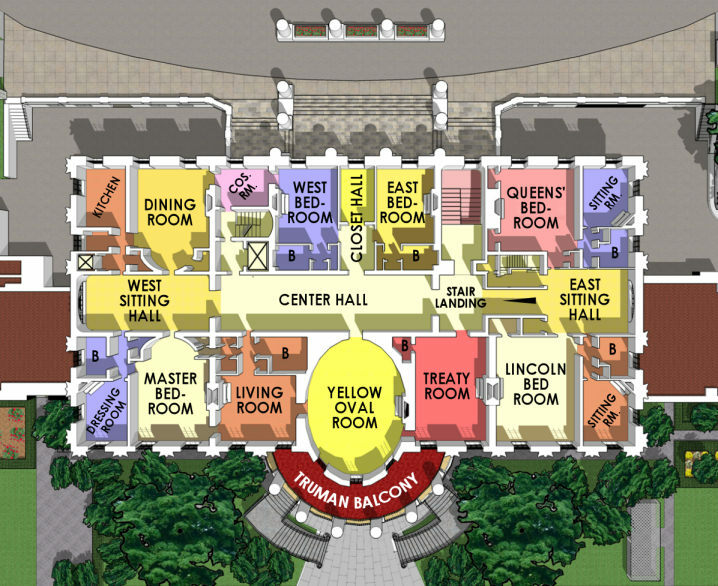 This floor has 16 rooms, 1 main corridor, 6 bathrooms, and 1 lavatory. The first family has overnight guests at the Residence, but visiting chiefs of state usually stay across the street at Blair House, which is the official guest facility for international leaders and is managed and operated by the Department of State. The ceilings are a little over 12 feet high, although above the Entrance Hall and East Room they are a little over 11 feet high.